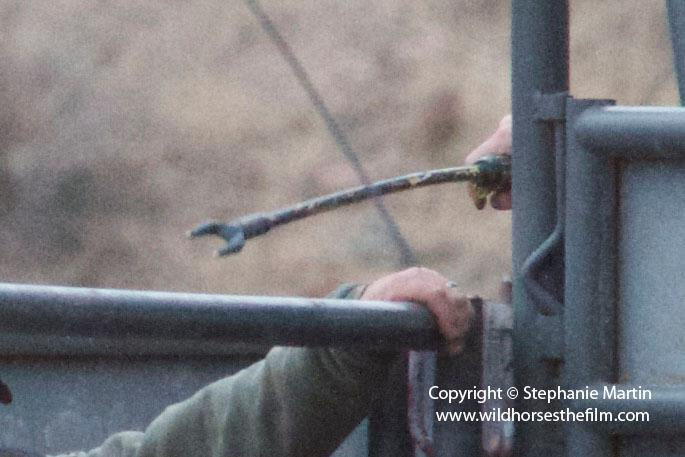 Return them to the Herd Management Areas! “Ladies and Gentlemen of the Wild Horse & Burro Advisory Board my name is Raychelle McDonald. I am an Oklahoma actor and the Former Miss Black Oklahoma USA. I am here today to represent Anne Novak the Executive Director of Protect Mustangs who was unable to travel from San Francisco to Oklahoma City for today’s meeting. 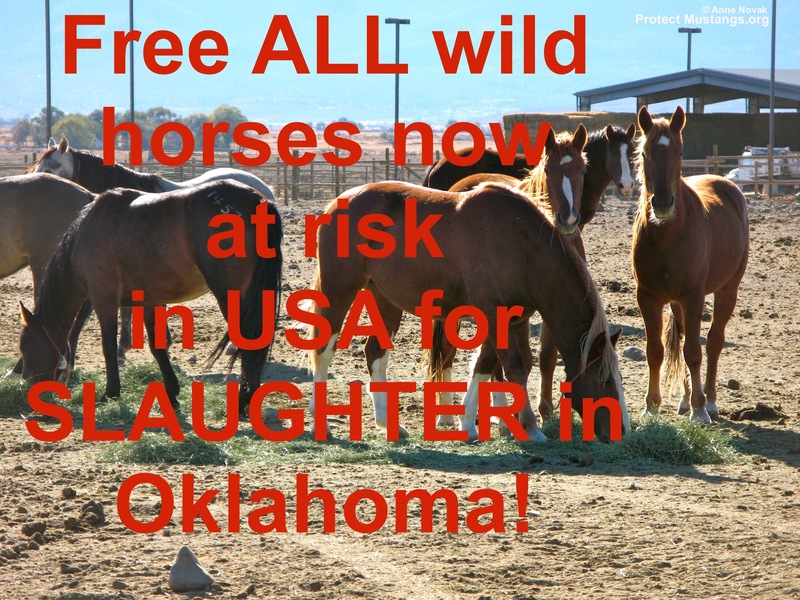 We request you acknowledge publicly and on your website that all the wild horses on public lands or who are captive in short and long-term holding are native. 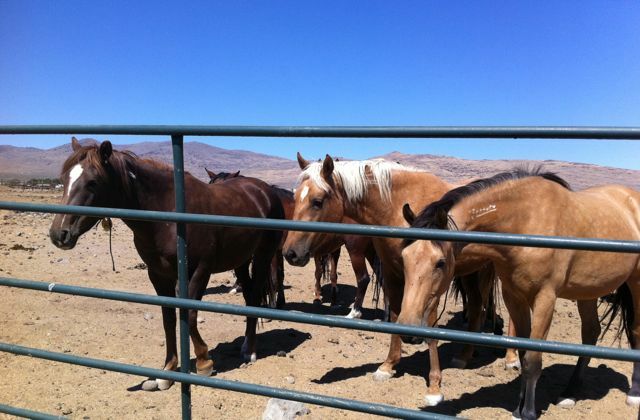 There is scientific information proving wild horses are native located on our website. Just click on the button titled “Native Wild Horses“. We request you return all the 50,000 native wild horses and historic burros in short and long term holding to the Herd Management Areas in the ten western states–as designated in 1971, Free Roaming Wild Horse and Burro Act that protects these equids. Wild horses are natives not pests as certain interest groups would like you to believe. Pesticides must NEVER be used on native species and current science proves wild horses are natives. The mustangers are working at the BLM these days–hiding behind inflated population guesstimates and feral beliefs. Meanwhile they are selling truckloads of native wild horses to alleged kill buyers like Tom Davis who bought at least 1,700. We ask you to stop experimenting on wild horses also. We request you NEVER sterilize nor put these native animals at risk of sterilization while in your care. Field sterilization is dangerous and inhumane and we ask that you toss that proposal in the garbage where it belongs. 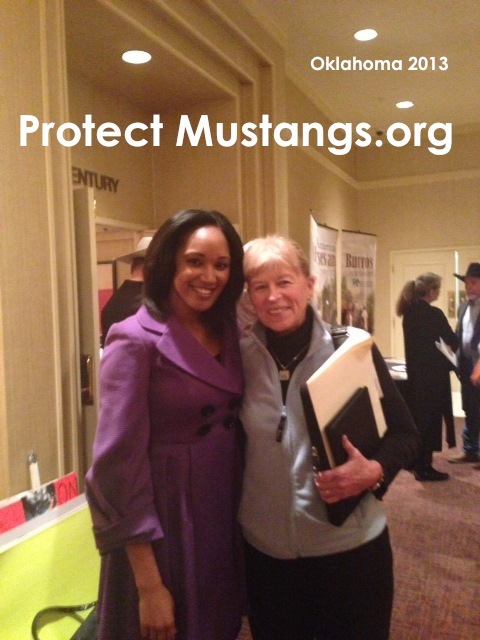 We request you never kill native wild horses or burros as a means of “disposal”. Your agency has made fiscally irresponsible decisions to roundup and remove more wild horses than you are able to adopt out. Today there is no alleged overpopulation. Witnesses have documented a sharp decline of native wild horses on public land. We are concerned they are being managed to extinction. We request you use good science not junk science to manage native wild horses who create biodiversity on their native land. We ask you to implement Range Design as the central management system regarding native wild horses and historic burros. Craig Downer is an expert in Range Design and we request you consult with him. We would like the BLM to discover healthy holistic grazing programs for livestock to heal the land instead of ruin it. That might mean working with the Savory Institute. We request you improve your adoption program by improving the marketing and customer service as well as have local gentling clinics for people to learn about native wild horses and perhaps adopt one. We request you improve your transportation to adopters. 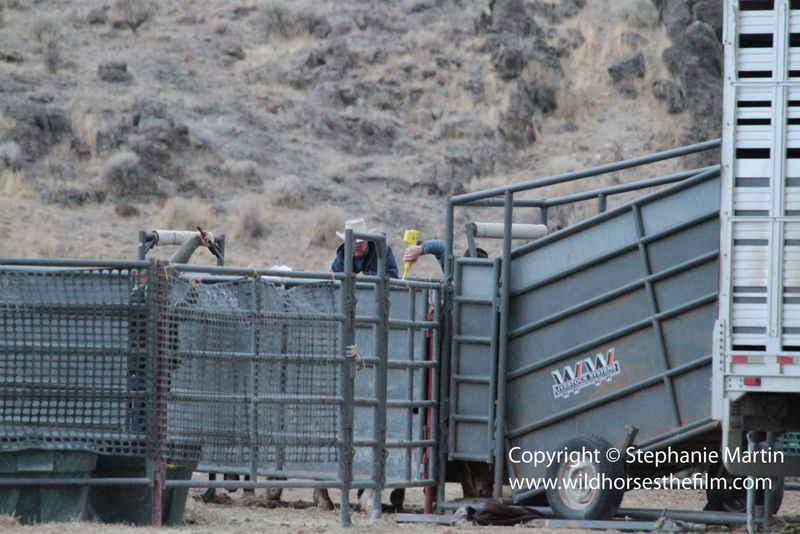 For decades you delivered truckloads of native wild horses to alleged kill buyers. It’s time to improve transportation to legitimate adopters. We ask that the BLM immediately teach and require all wranglers and personel working with native wild horses and burros to follow protocol written by a well respected natural horsemanship trainer to reduce the trauma to all equids in your care. All Americans love native wild horses and want to see them protected. Here is a sample for you to work with and send to your local media. This is an opportunity to educate your local media and community about the wild horse and burro crisis. Even if they don’t print it at least they’ve learned about it. Contact Anne Novak if you have questions. Call to action paragraph at the end encouraging the community to get out to see these healthy living treasures who create biodiversity on public land. Suggest community members contact their elected officials to protect them from the industrial wipe out on public land. List 4 links to give local journalists some education on the issues. Please include the link to Native Wild Horses: http://protectmustangs.org/?page_id=562 because they need to learn the new science. The Bureau of Land Management’s National Wild Horse and Burro Advisory Board will meet in March in Oklahoma City to discuss issues relating to the management, protection, and control of wild horses and burros on Western public rangelands. The day-and-a-half meeting will take place on Monday, March 4, from 8 a.m. to 5 p.m. and Tuesday, March 5, from 8 a.m. to 12 p.m., local time. The meeting will be held at the Sheraton Oklahoma City Hotel, 1 North Broadway Avenue, Oklahoma City, Oklahoma 73102. The hotel phone number for reservations is 405-235-2780. The agenda of the meeting can be found in the February 5, 2013, Federal Register (at http://www.gpo.gov/fdsys/pkg/FR-2013-02-05/pdf/2013-02381.pdf). The Advisory Board provides input and advice to the BLM as it carries out its responsibilities under the 1971 Wild Free-Roaming Horses and Burros Act. The law mandates the protection, management, and control of these free-roaming animals in a manner that ensures healthy herds at levels consistent with the land’s capacity to support them. According to the BLM’s latest official estimate, approximately 37,300 wild horses and burros roam on BLM-managed rangelands in 10 Western states. The public may address the Advisory Board on Monday, March 4, at 3:30 p.m., local time. Individuals who want to make a statement at the Monday meeting should register in person with the BLM by 2 p.m., local time, on that same day at the meeting site. Depending on the number of speakers, the Board may limit the length of presentations, set at three minutes for previous meetings. The BLM manages more than 245 million acres of public land, the most of any Federal agency. This land, known as the National System of Public Lands, is primarily located in 12 Western states, including Alaska. The BLM also administers 700 million acres of sub-surface mineral estate throughout the nation. In Fiscal Year (FY) 2011, recreational and other activities on BLM-managed land contributed more than $130 billion to the U.S. economy and supported more than 600,000 American jobs. The Bureau is also one of a handful of agencies that collects more revenue than it spends. In FY 2012, nearly $5.7 billion will be generated on lands managed by the BLM, which operates on a $1.1 billion budget. The BLM’s multiple-use mission is to sustain the health, diversity, and productivity of the public lands for the use and enjoyment of present and future generations. The Bureau accomplishes this by managing such activities as outdoor recreation, livestock grazing, mineral development, and energy production, and by conserving natural, historical, cultural, and other resources on public lands.